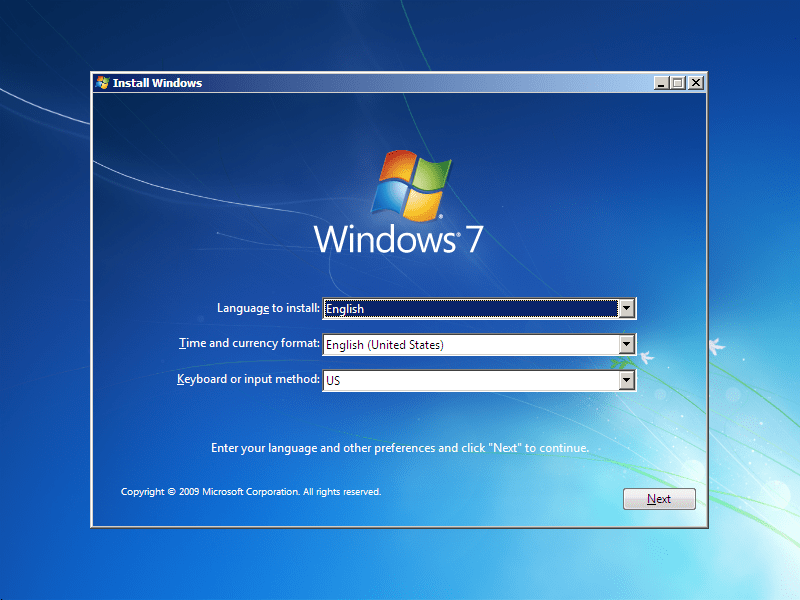 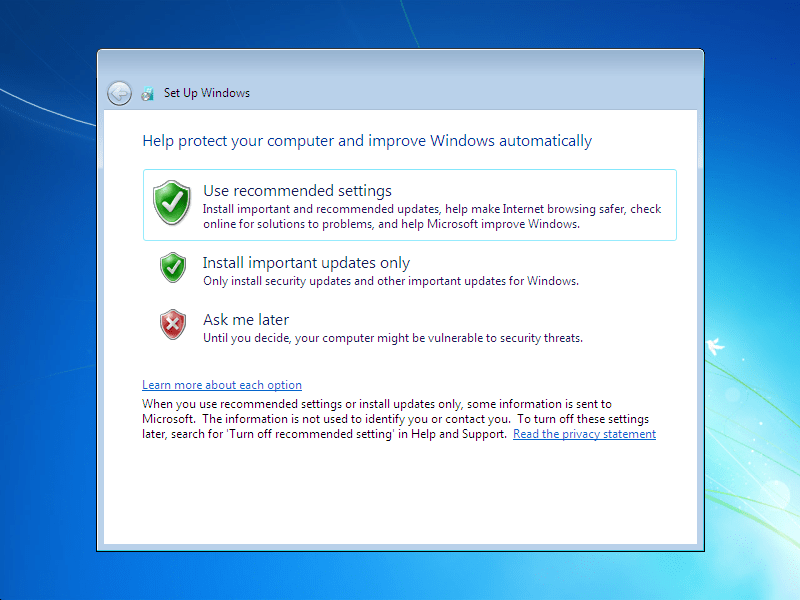 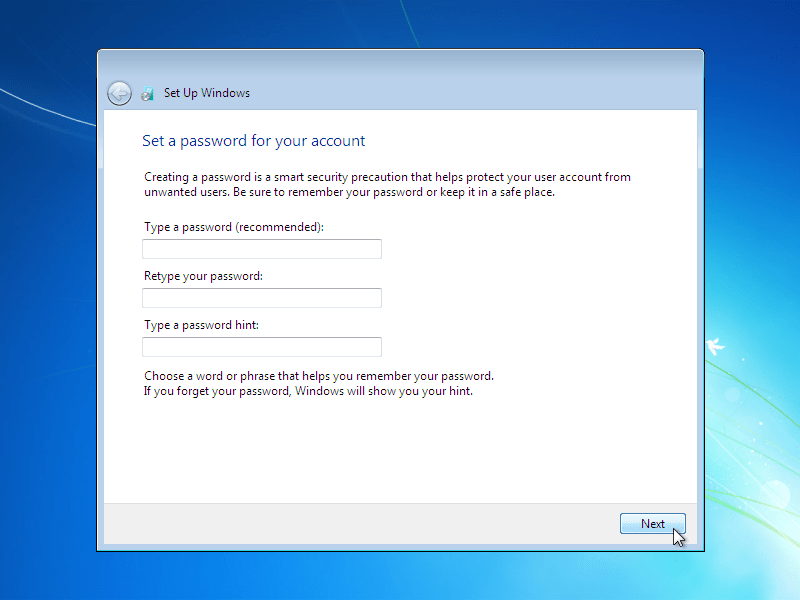 Click Upgrade if you already have a previous Windows version and want to upgrade it or Custom if you don't have a previous Windows version or want to install a fresh copy of Windows 7. (Skip this step if you chose Upgrade and have only one partition) Select the drive where you want to install Windows 7 and click Next. 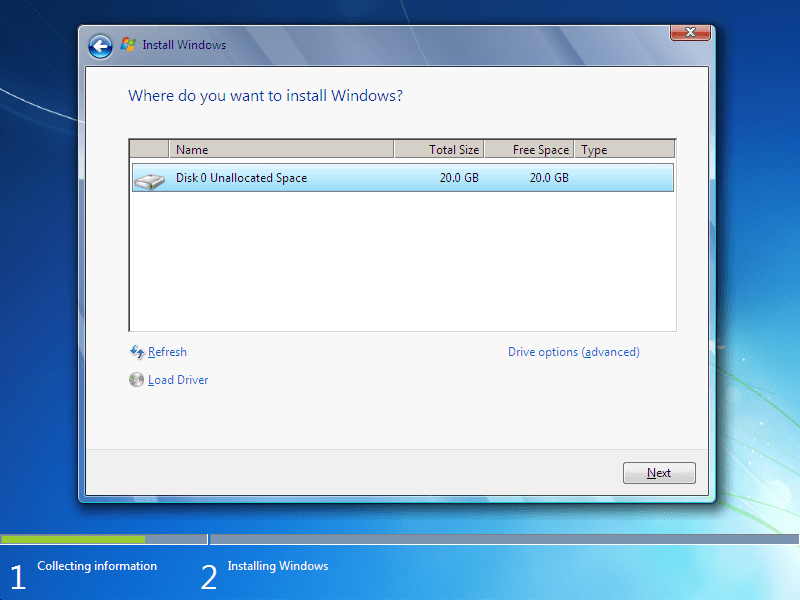 If you want to make any partitions, click Drive options (advanced), make the partitions and then click Next. 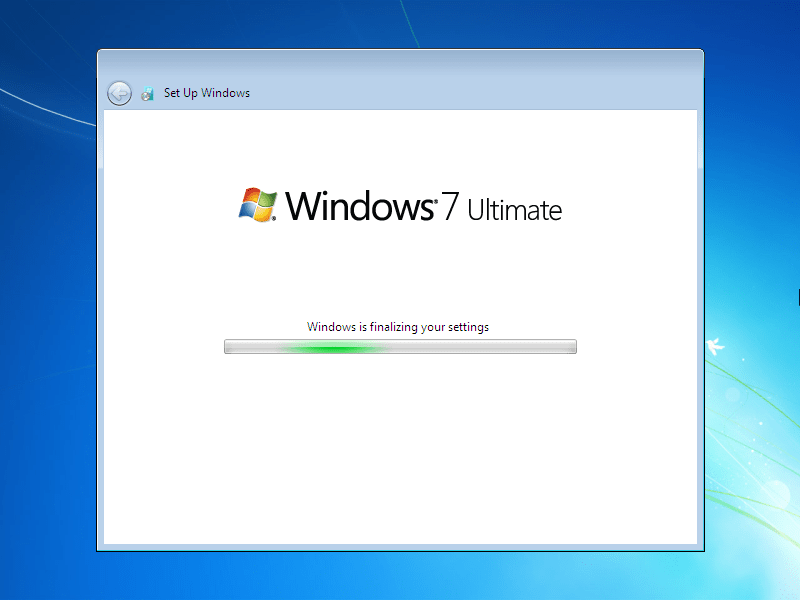 The setup will now start installing Windows 7. 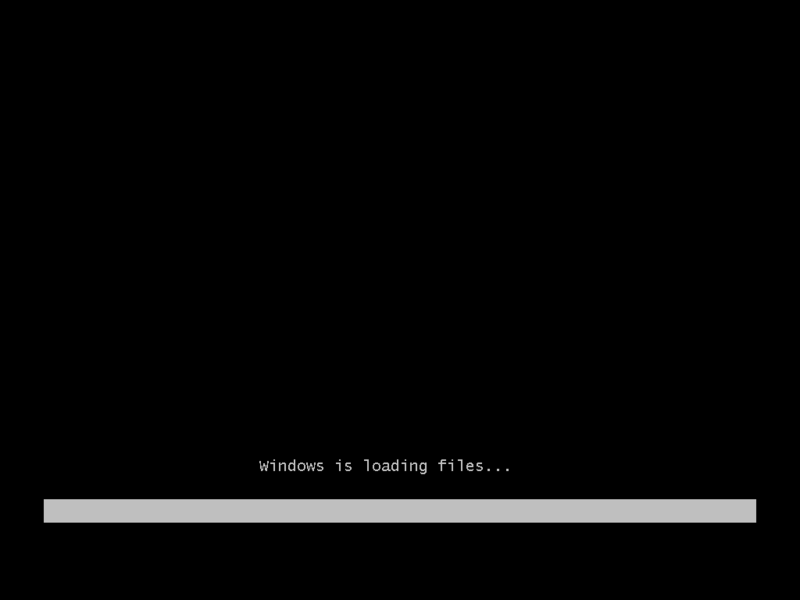 The first step, Copying Windows files will complete instantly. 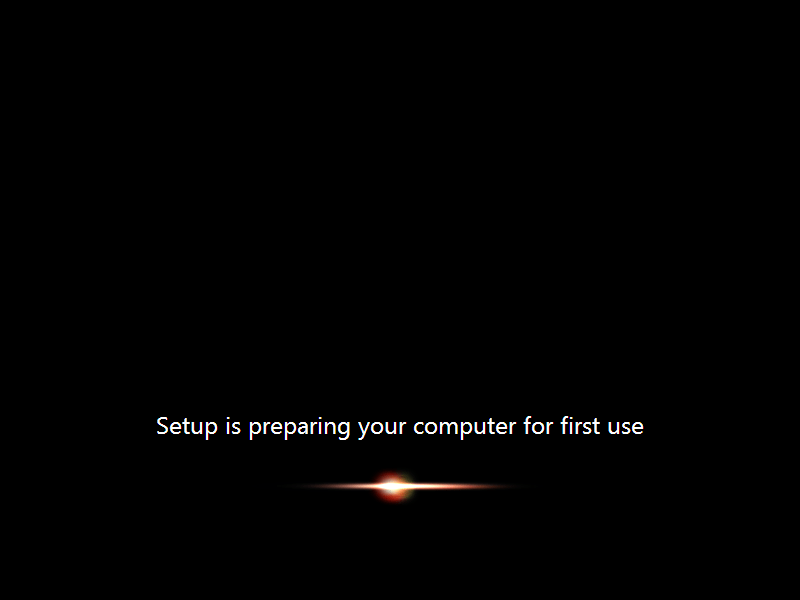 The second step will take the most time. After restarting for the first time, it will continue the setup. 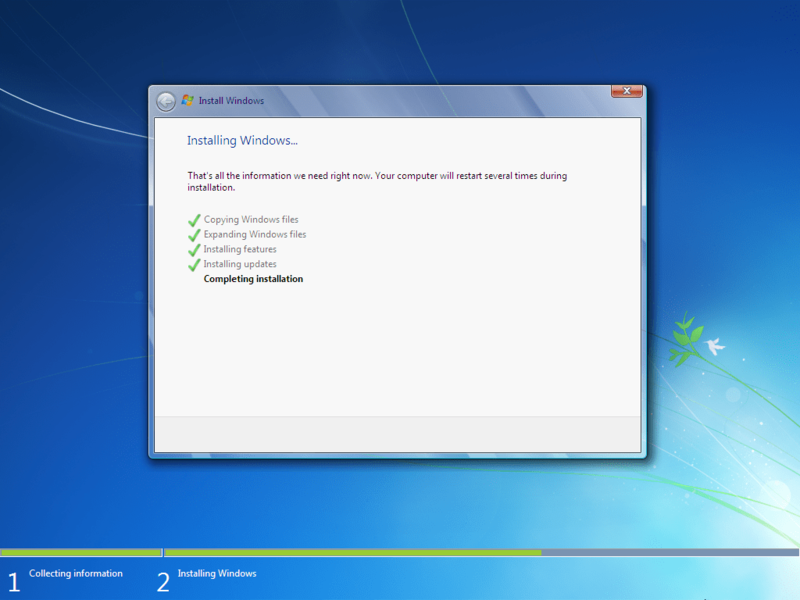 This is the last step so it will take the most time than the previous steps. 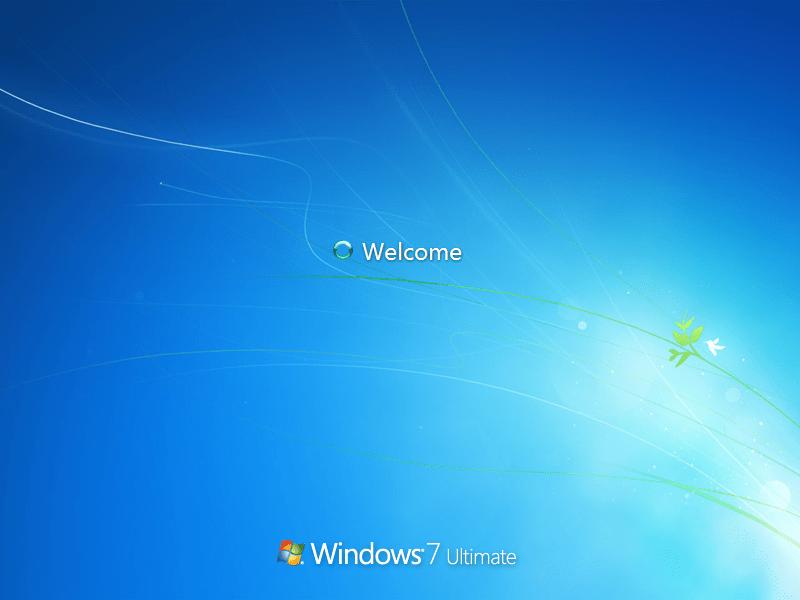 It will now automatically restart again and continue the setup. You can click Restart now to restart without any delays. Type your product key in the text-box and click Next. 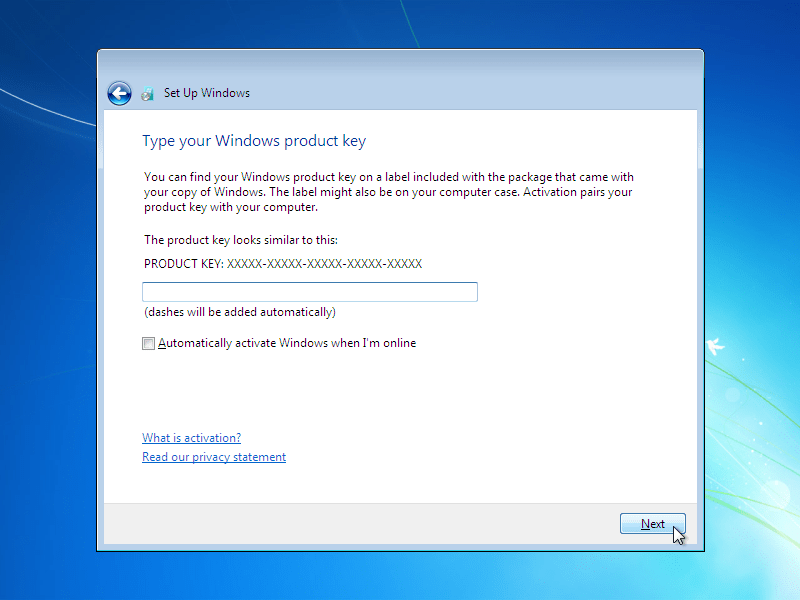 You can also skip this step and simply click Next if you want to type the product key later. Windows will run only for 30 days if you do that. 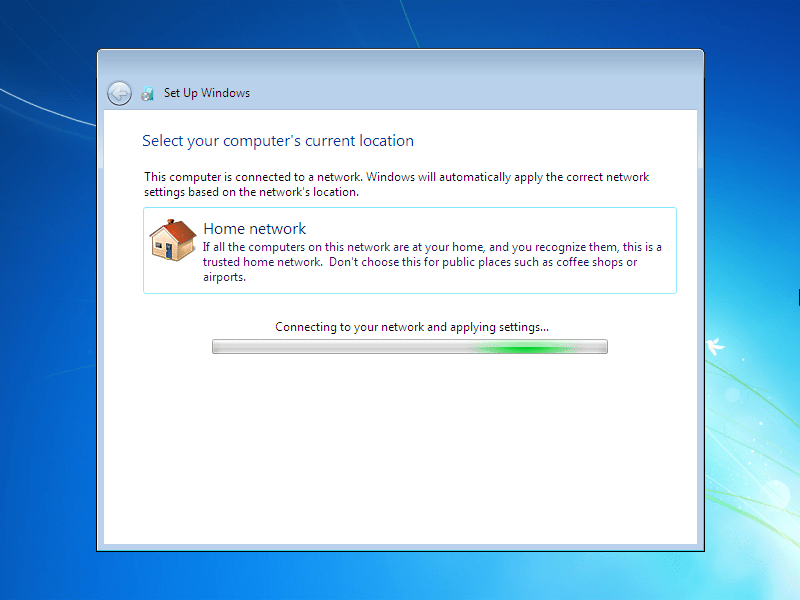 If you are connected to any network, it will ask you to set the network's location. 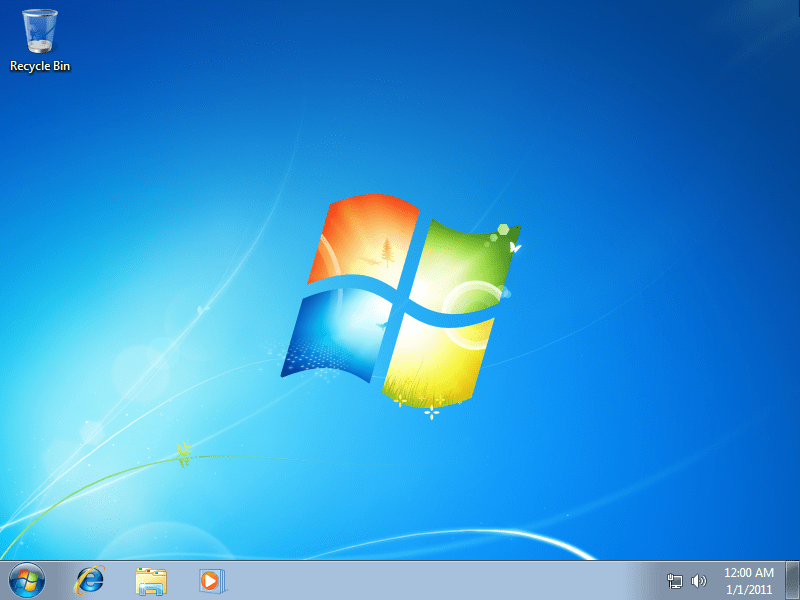 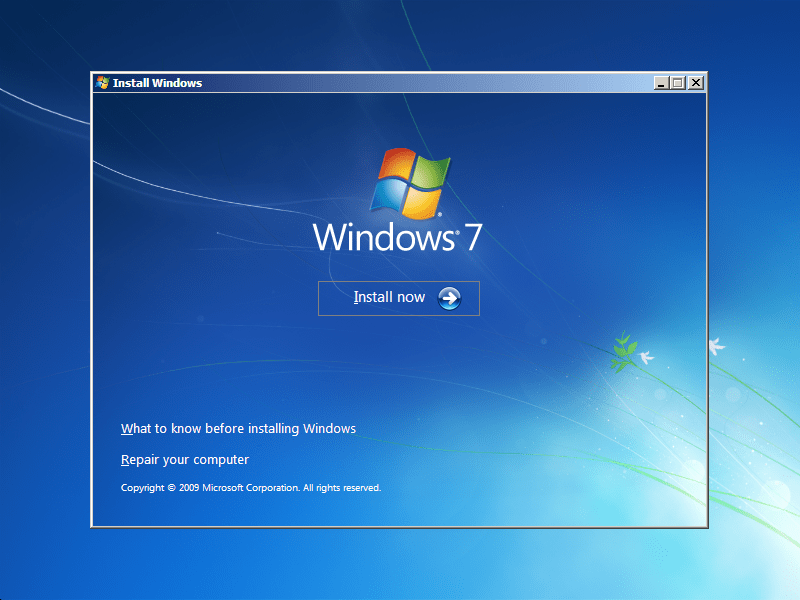 And there you have Windows 7 installed!